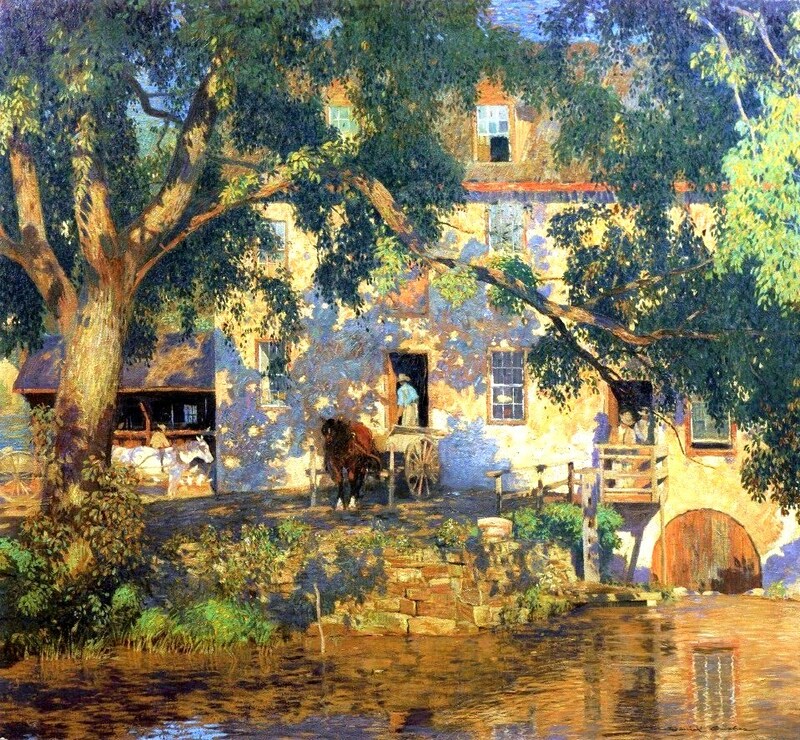 Daniel Garber – private collection. Title: The Old Mill. Date: 1921. Materials: oil on canvas. Dimensions: 105.4 x 115.6 cm. Source: http://1.bp.blogspot.com/-TkEZDmeEJW8/UdJ5nyLApCI/AAAAAAAAYmA/NbVAXMsd5Hs/s959/El+viejo+molino+(1921).jpg. I have changed the light and contrast of the original photo.